A fantastic new infographic from Visual News shows just how much information and data the Internet generates every minute. 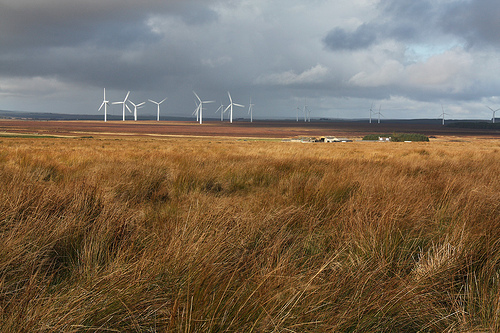 A second Scottish local authority has called for a temporary halt on wind farm applications following an onslaught of inappropriate bids. Fife Council claim developers are ignoring guidelines on approved sites and are swamping planners with "opportunistic" applications. Fife Council leader Alex Rowley said: "The pressure being put on our planners is coming from the sheer number of wind turbine applications that are currently being submitted across all parts of Fife. "We have already pinpointed areas of search across the kingdom following extensive consultations where turbines could be potentially sited. However, developers are simply ignoring these when making applications which, in turn, is making life more complex for our planning teams." Fife's move follows Aberdeenshire Council earlier this year who asked for a six-month moratorium after becoming overwhelmed by a "wind rush" from developers. With a potential five-year gap between the initial planning application and the final decision underlies the importance of getting planning applications done well.